Wyandotte, & Downriver MI Painting & Power Washing Services | Contact Knowles Painting Co. WELCOME TO KNOWLES PAINTING & POWERWASHING CO.! 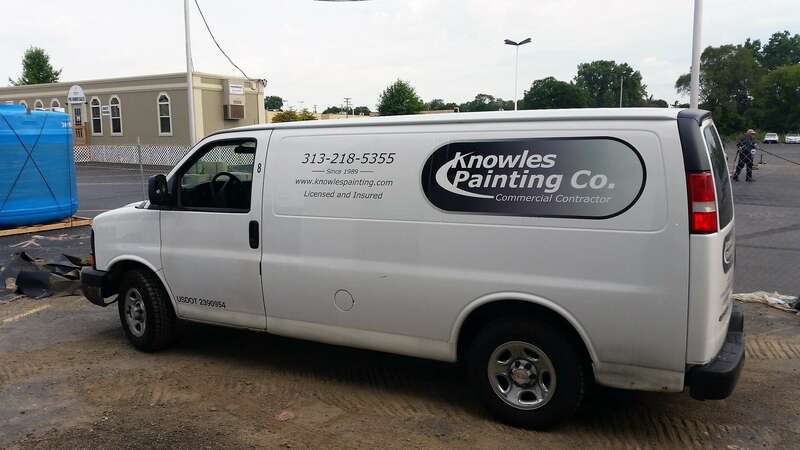 When it comes to industrial painting, residential & commercial power washing and sandblasting in the Downriver area, there’s one name to trust: Knowles Painting Company (KPC). KPC really knows what goes into these projects adding value to your property. You envision a great result and that’s exactly what you get with KPC. We can brighten your space so you can set a positive tone for your employees and your customers. KPC is great at transforming existing spaces with new paint, and also at performing that first paint job for your new offices. We have made thousands of homes in the Wyandotte area cleaner and brighter with our low-pressure hot water power washing system. It’s a great way to keep the exterior of your home looking terrific, year in and year out (we offer a yearly maintenance cleaning service that will keep your home sparkling). You can drop off your item in the shop or we can come to you. Auto, graffiti removal, wood restoration or marine - we can do it! Want to know more? Please check out our commercial painting services page or our residential and commercial power washing page or the dustless sandblasting page. Then please contact us as we’d love to hear more about your needs. Let Knowles add value to your property and a bright new look you’ll be proud of.